Natural Goat Milk Soap, Tips for People and Pets! Combat problems, naturally, for a healthy you! With all of the products on the market, there's lots of confusion. I will help you cut through the confusion, quickly. Discover natural homemade recipes and remedies to look and feel better. Find homemade skin care and natural beauty tips! Improve the appearance of skin, hair and scalp conditions. Often commercial products cause poor conditions of the skin, hair and scalp. Harsh manufactured chemicals can strip away what nature has intended. I have a true passion for helping those who want to help themselves. Everyone has heard the phrase, "you are what you eat", and that's why my homemade skin care page is one of the largest pages at this website. Nutrition is a HUGE factor in maintaining good health for your body, skin, hair and nails. My homemade skin care page list foods and how they affect your overall health. Find homemade recipes! Also, let's not forget there is a difference between natural and synthetic. The market is flooded with products for skin, hair, scalp and nails. Do you really know much about the chemicals used in commercial products? Do you know which products are best for you? Why is it important to know? Your skin is the largest organ of your body. It acts like a large sponge. What you put on your skin goes into your body affecting your health. The information at this website helps guide you to better overall health for body, skin, hair and nails! Find tips and natural homemade recipes! 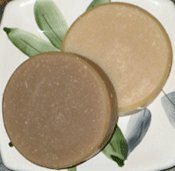 There is a difference between handmade goat milk soap and regular manufactured commercial soaps. Discover the difference! If you enjoy making homemade soap, find tips and lots of information. Learn how to make soap. Learn details about soap making oils, essential oils, soap making supplies and more! Find homemade soap recipes! I love animals, so you'll find pet care information too. Natural goat milk soap can add shine and manageability to your pet's coat. It's a mild and gentle, natural, flea repellent! Goat milk soap, with mild ingredients, soothes sensitive skin. Stop using harsh pet soaps! Learn about goats: Alpine, Saanen, Nigerian Dwarf, Boer and Fainting. Learn goat care and tips on raising goats. Whether this website is a great success or not, is not my main concern. Whether it makes a difference in a life does matter, even if it's just to one person on Earth. Each and every person is valuable. Sharing my knowledge with you is a deep passion and desire. I hope I make a positive difference in your life! "Look deep into nature and then you'll understand everything better". When you take time to enjoy nature and understand its true benefits, you appreciate it deeper, with more conviction, craving to know more and more. The world suddenly opens up and seems clearer. Your understanding of nature leads you to an understanding of things, "natural". I love going back to nature, keeping it simple in a mostly chaotic world. It just works for me and hopefully for you too! So, if you're ready browse through the site. You'll find all sorts of information. You'll find fun things for kids and adults: science experiments, crossword puzzles, trivia, coloring pages and much more! Don't miss out! Thanks for stopping by. Hope you visit, often!